One of the most interesting satellite exhibitions during the Stockholm Furniture Fair is We Are Going Underground (WAGUG). Situated in a garage beneath the newly renovated Anglais hotel in central Stockholm some 15+ designers have joined forces and are exhibiting for the third year under the name We Are Going Underground. Dizel&Sate takes influence from urban street designs and methods including tagging and graffing, and reinterpret them in their own unique way for more mainstream environments. By doing this they have effectively taken an underground art form once rejected by society, to the masses. Peter Andersson and Matti Klenell display some new cubic low chairs with an slightly awkward look (that’s the purpose!). Matti Klenell told me that he and Peter Andersson love Michel Gondry and his “Fell in love with a girl” video för White Stripes (the lego video). The new low chair project was born after they both saw an Michel Gondry interview last autumn. 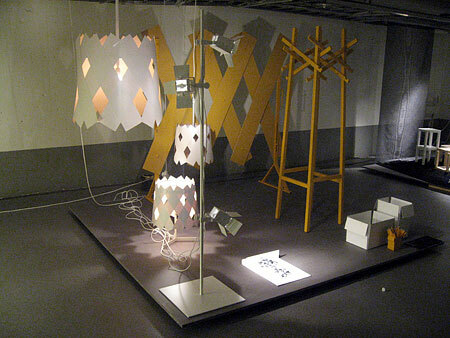 Matti Klenell did also bring a couple of nice lamps produced by Bals Tokyo. The architectural office TAF (Gabriella Gustafson and Mattias Ståhlbom) shows their most recent projects; some interesting lamps and coathangers. 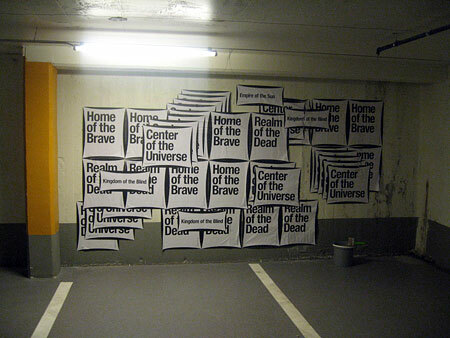 OneDayNation (a collaboration of three graphic designers from Switzerland, Germany and France working in Amsterdam) show some of their graphic work. Please tell me shortly about your idea behind We Are Going Underground? We are going underground wants to be the natural link between design art and fashion. 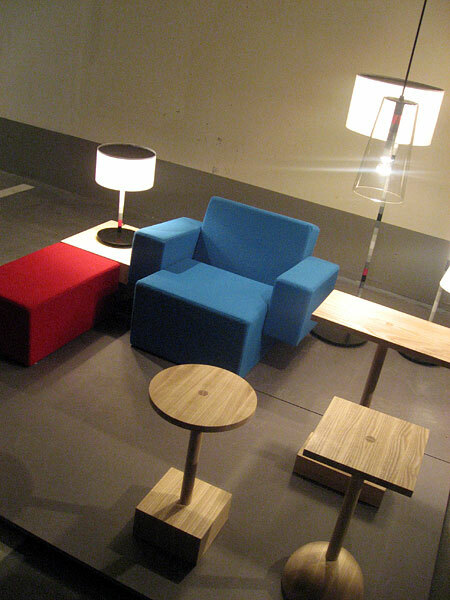 A start of something new during Stockholm Furniture Fair, far from glossy showrooms and strict dresscode. What’s the difference this year from previous exhibitions? We have changed the location to Hotel Anglais garage, otherwise the concept is just as brilliant as usual, Design art and fashion in a garage. How do you select the contributors? The core of the designers who started We Are Going Underground selects the exhibitors together. Who is contributing this year? We are going underground 2007 is: Bleed, Daniel Franzén, Dizel&Sate, Konkret Form, Lars Peterson, Malin Palm, Onedaynation, Peter Andersson, Matti Klenell, Simon Mullan and Björn Segschneider, TAF, Thomas Bernstrand, Ulrika Sandström, Åsa Olsson, Graphic design by Jens Schildt. Will we see the concept at other places in the future? Hopefully. It would be nice to travel with the exhibition. 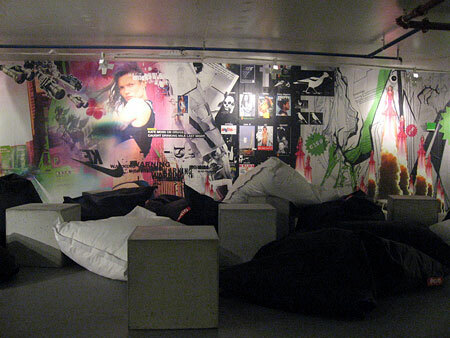 The We Are Going Underground exhibition is open every day 12-6pm until Sunday February 11th.